by Stephen M. Pauley, M.D. Hold on a second. The Statesman endorsed removing the four lower Snake dams in 1997. And now you are completely ignoring the fact that the biggest obstacle to dam removal has been removed: loss of electricity from those dams if they were removed. 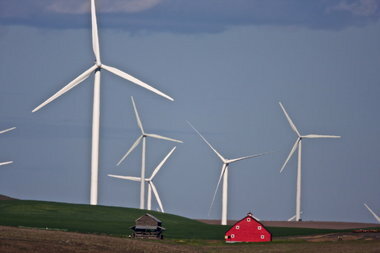 We now have an abundance of Northwest wind power not present until just the last two years. So why are the Statesman and the Oregonian publishing articles that ignore the new green wind power source that makes the hydropower from the four Snake dams obsolete? Instead the discussion is now about gas bubble disease due to spill (not an issue if no dams were there), low grid capacity, and too much power with both wind and hydro. What? It's easy. The Bonneville Power Administration needs to buy that wind power, the wind farmers need to get their green subsidies, the four Snake dams need to come out, and wild salmon will return to Idaho. The cost of dam removal almost equals that of annual "salmon recovery" by BPA and the Army Corps of Engineers. Please get back to supporting lower Snake dam removal.